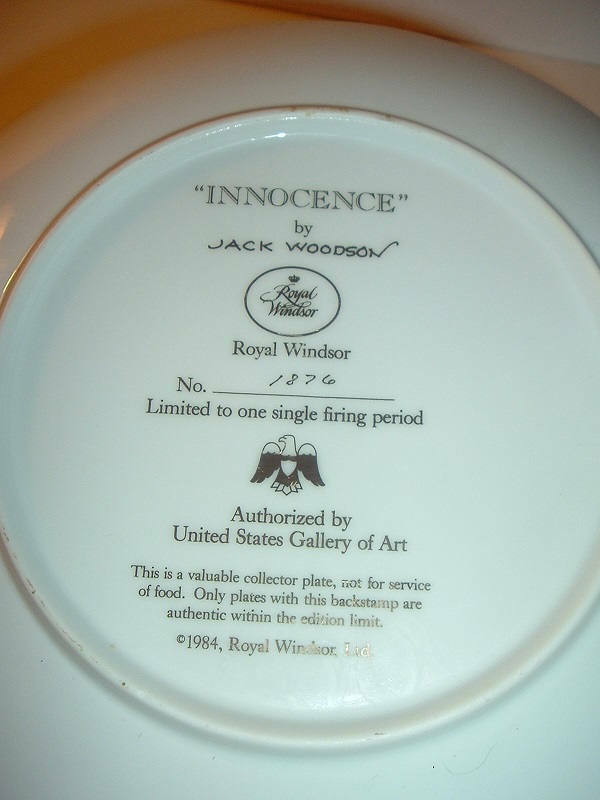 This 1984 Innocence plate measures approx. 8 5/8" across. 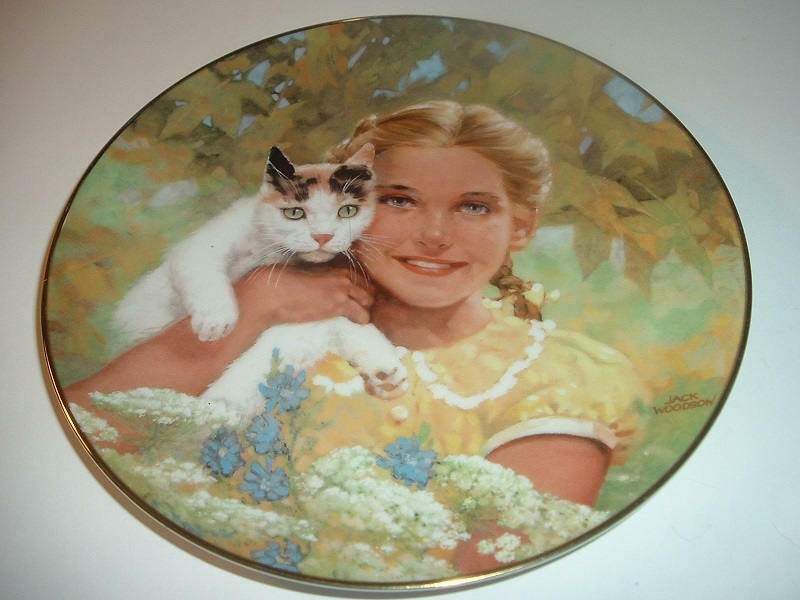 It was done by artist Jack Woodson for Royal Windsor, and is a limited edition numbered 1876. Condition is excellent. I have no paperwork or box for this one. Still -- nice! I gladly combine shipping.